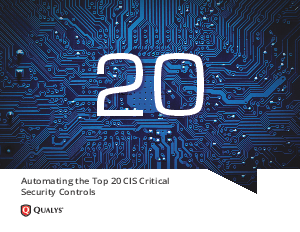 Thankfully, the CIS Top 20 Critical Controls provides a pragmatic approach, offering prioritized guidance on the important steps for implementing basic cyber hygiene practices. With the CIS Top 20 Critical Security Controls, CISOs now have a blueprint for reducing risk and managing compliance. do much more with less, essentially operationalizing good cyber hygiene.